For stylish brewing directly in the glass, our double wall glasses with system are the ideal solution. 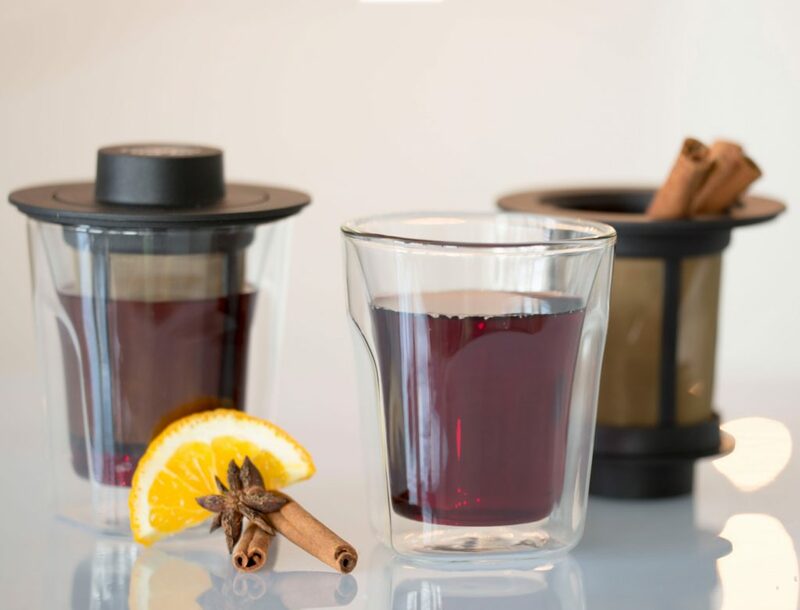 The fine heat-resistant borosilicate glass and the precisely fitting permanent filter made of micro-fine stainless steel mesh and temperature-resistant PP frame offer elegance and functionality with excellent workmanship and set standards for both the catering and at home. Cool Touch: Even without a handle, hot drinks can easily be held in the hand. 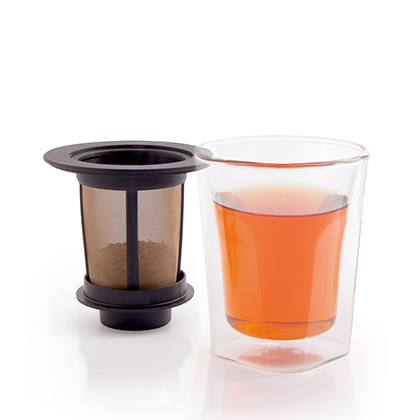 The double wall prevents condensation on the glass surface, coasters are no longer necessary. The drinks stay hot or cold longer than common glasses. 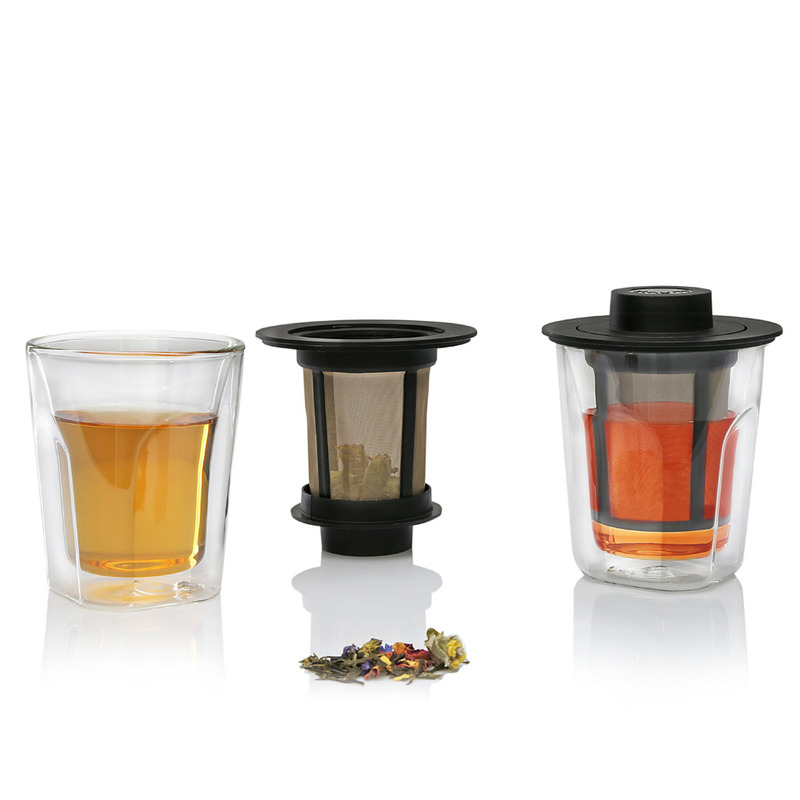 Hot Design: Equally equipped with our stylish tea hat it allows you to enjoy your tea individually. The hat serves as a drip off tray for the filter!